Are you sure you want to remove FIAT LUX! Down Memory Lane in California from your list? 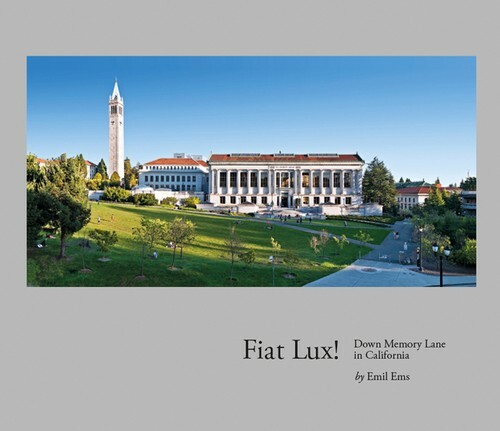 The author recalls his memories from way back, when studying at UC Berkeley in the 'seventies. He documents, with pictures and short essays, the type of experiences, trips and meetings he used to have 35 years earlier. This is a surprising and charming story, seemingly incongruent with the author's persona of a retired and serene European civil servant. On the surface, this sometimes whimsical, but always interesting book looks like a simple travelogue from a trip to California, with amateur photographs added. But the reader soon realizes that deep knowledge and insights lie hidden under the light-hearted surface and that the photos are the result of careful preparation, done by a master photographer. 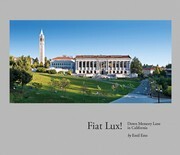 Above all, the book provides a refreshing overview of one of Earth's blessed regions, the Bay Area in California, with the University of California situated right in the middle of it. July 19, 2012 Edited by Emil Ems Edited without comment. May 7, 2012 Edited by Emil Ems Edited without comment. May 7, 2012 Created by Emil Ems Added new book.